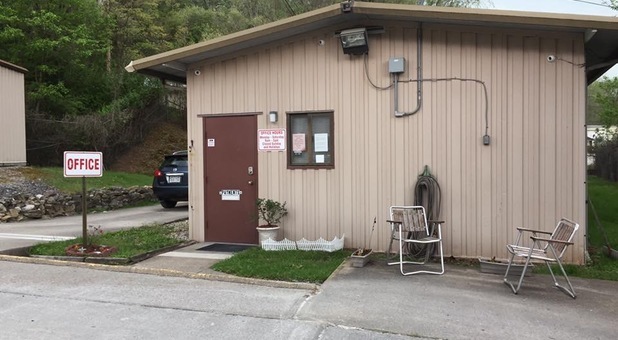 Located near Roxalana Hills Apartments and The Oaks, Capitol Self Storage is a convenient place for personal and household storage rentals in Dunbar, West Virginia. Meet with a storage specialist today and create some extra space in your home! 25% off the first months rent. Located near Roxalana Hills Apartments and The Oaks, Capitol Self Storage is a convenient place for personal and household storage rentals in Dunbar, West Virginia. Meet with a storage specialist today and create some extra space in your home. Our storage options are great for business owners and commercial storage, too! From spaces with drive-up access to car, boat, and RV parking, Capitol Self Storage provides moving options to a wide variety of customers. For added convenience, we sell a full inventory of packing materials onsite, including boxes and locks. Give us a call today and ask about our great specials, such as 25 percent off of your first month’s rent. Capitol Self Storage serves Dunbar, West Virginia and other local areas including Institute, Jefferson, South Charleston, and Spring Hill. Annette Reveal helped me multiple times. She delivers great customer service each time. She was truly a delight to work with. I will definitely be coming back to open a new unit at this location again soon. Thanks, again! Hello Andrew, Thank you so much for taking the time to review our facility. We have a great staff at this location. The best compliment we can get is your continued business with us. Thank you for being a valued customer. Excellently managed. A secure storage facility. Capital Self Storage has proven to be a great decision in where I have chosen to store and protect my external business items. Chastity Arthur and her staff have built a long-lasting positive customer relationship. They have provided a customer friendly environment and most importantly a place of trust and commitment. You would anticipate a very low interaction between the customer and the management of such a facility, but Chastity frequently reaches out with e-mail to remind you of payments and ask for suggestions and feedback. it's routine for her and other staff to greet you with a smile or a simple wave from the office as you enter the property. This kind of customer service is exceptional from a storage company. I personally appreciate all they do and have been a customer for over a year and look forward to maintaining my unit with them. Thank you so much for your kind review! We appreciate the feedback. We strive to provide safe and secure self storage and are so glad that was your experience when storing your items. Have a wonderful day! Thank you so much for the review, this will be very helpful to others when considering where to rent! I like the location of the storage unit. A little away from the majority of traffic but easy to get to. I like how it is gated with a password to get into after hours. Staff is very friendly and knowledgeable.